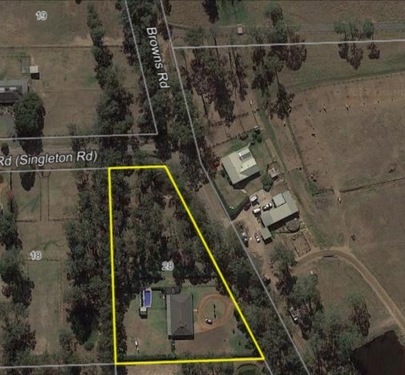 This sprawling single level home sits on a gorgeous almost 2 acre parcel of land with town water, and offers level completely flood free land. 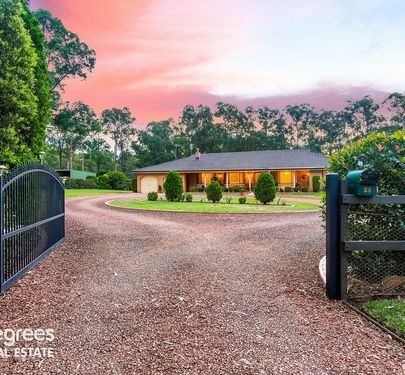 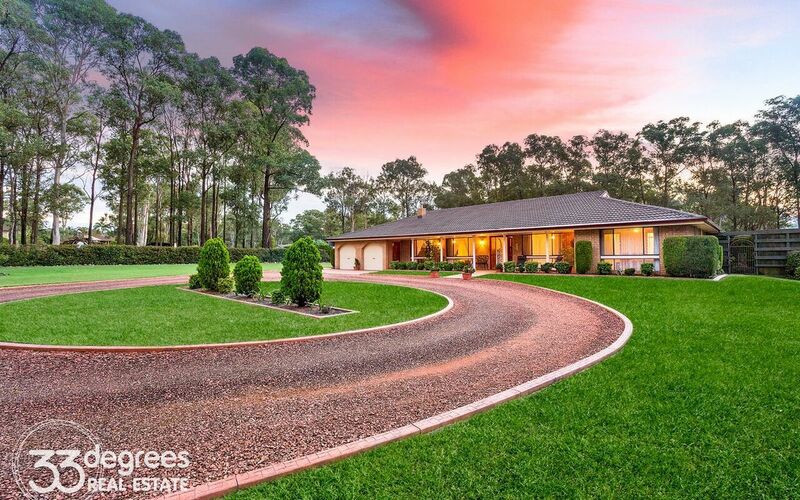 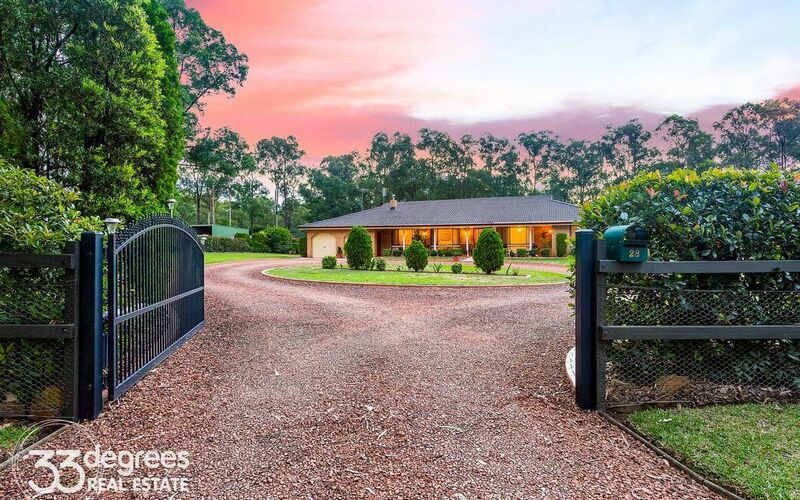 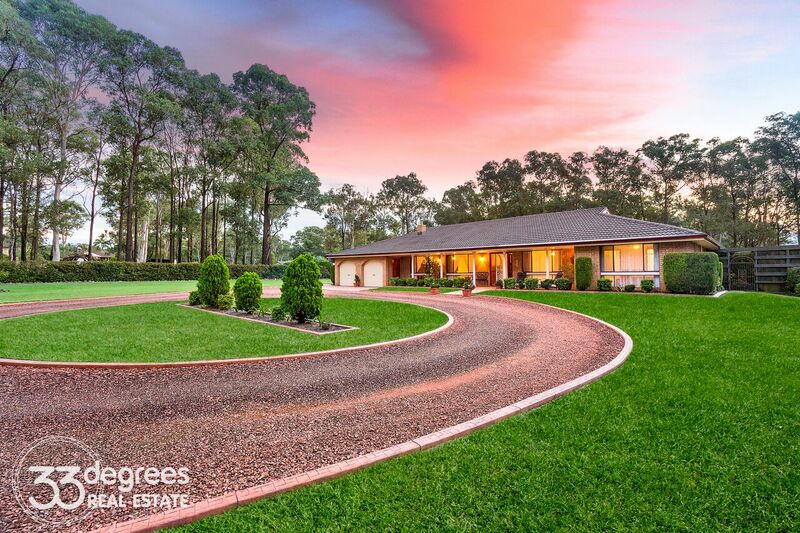 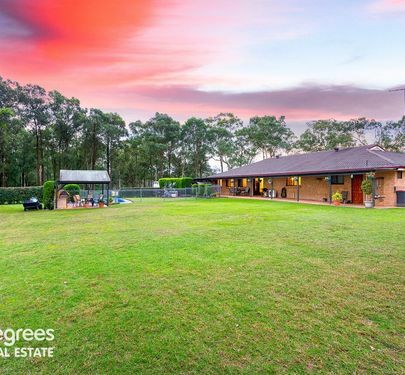 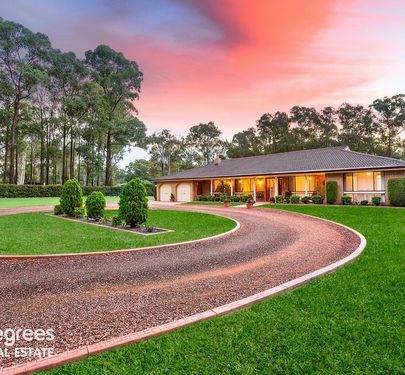 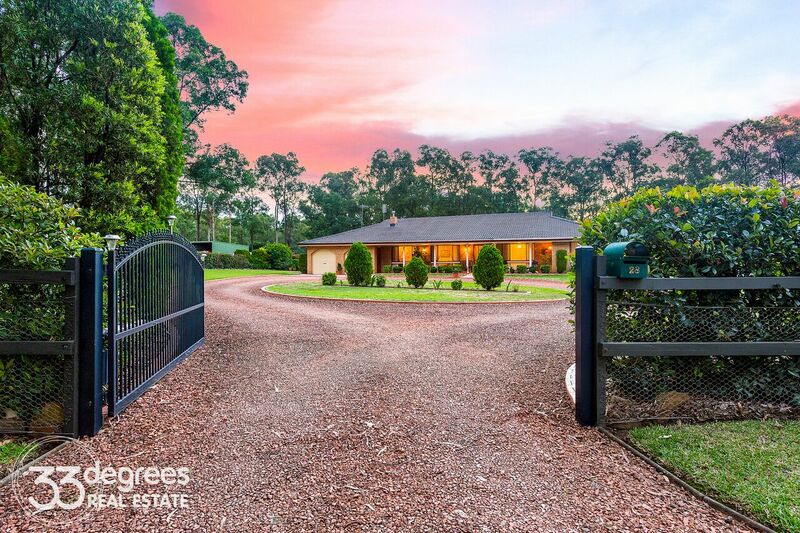 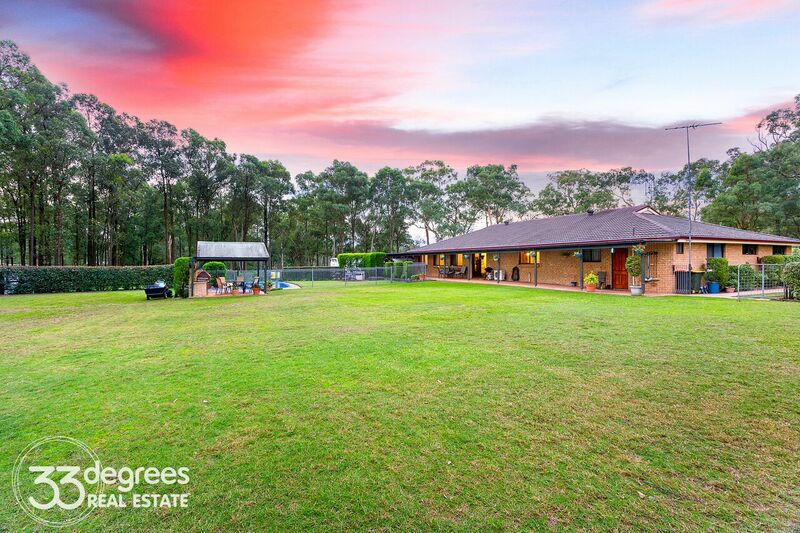 With sweeping lawns, established private hedges , this fully fenced property even has an electric front gate to ensure privacy. 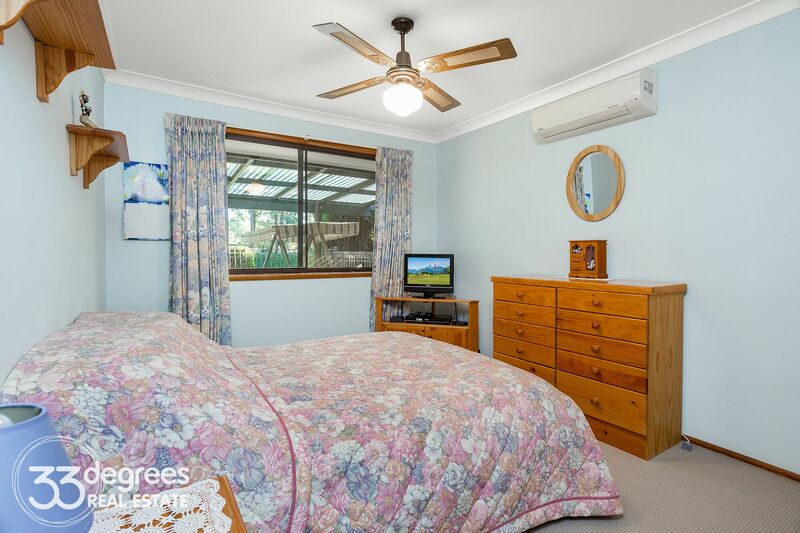 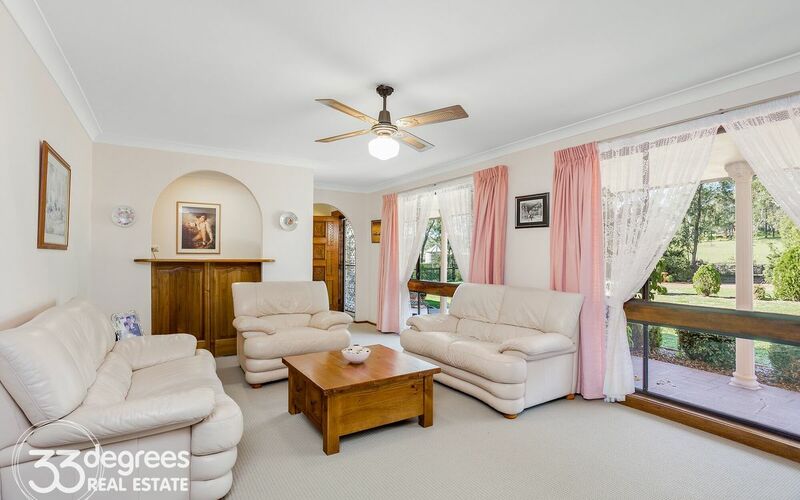 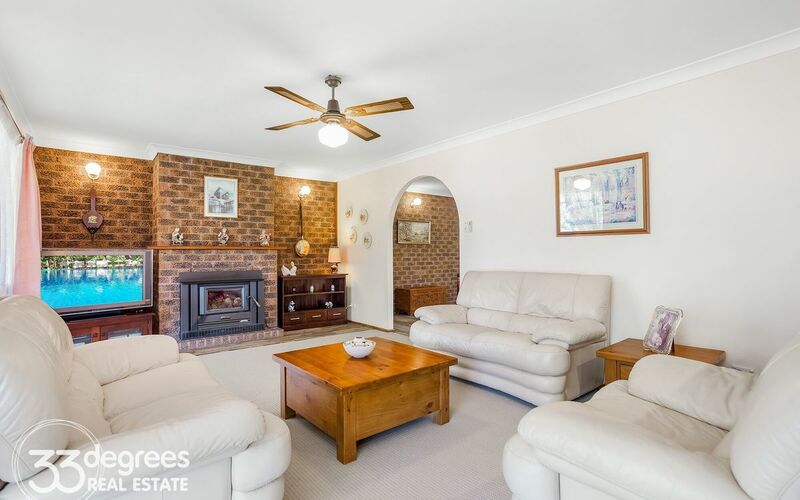 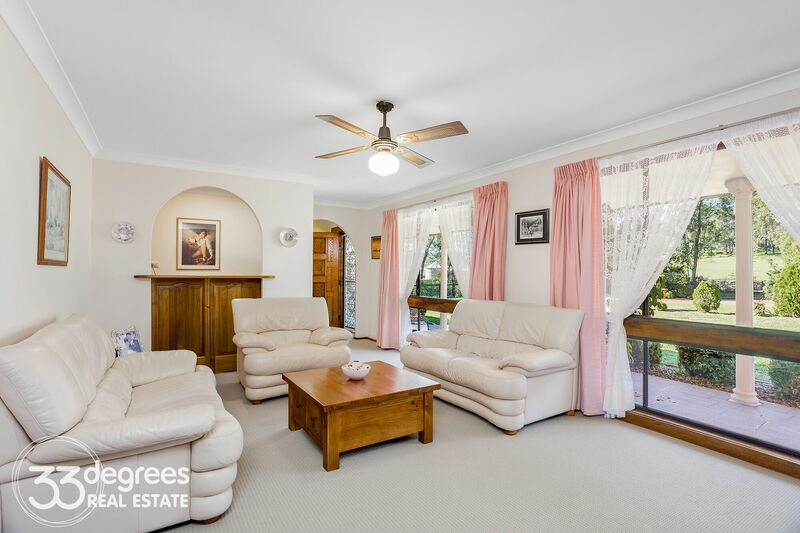 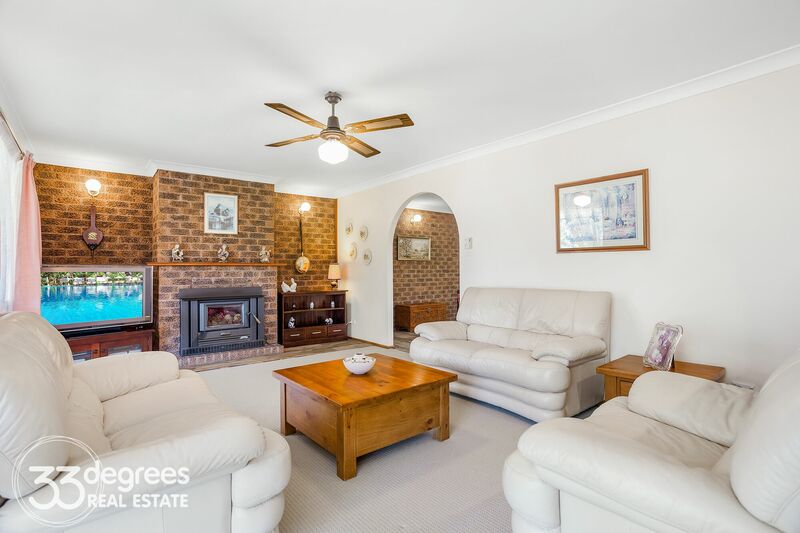 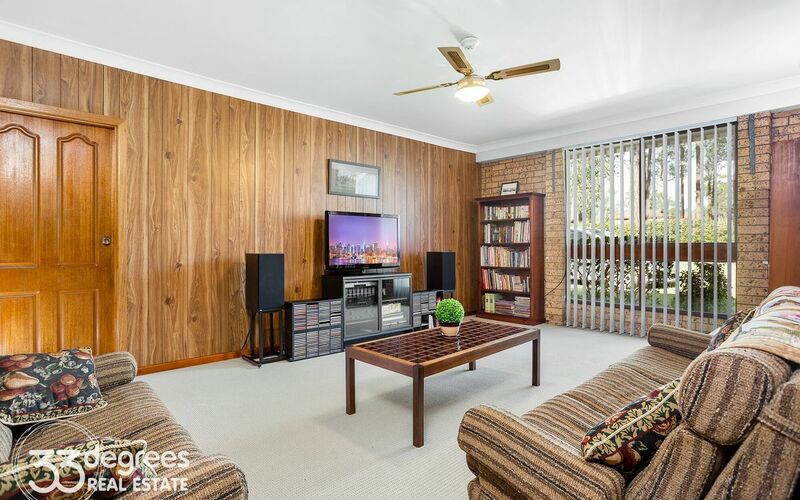 The immaculately presented home has internal access from the double garage (auto doors). 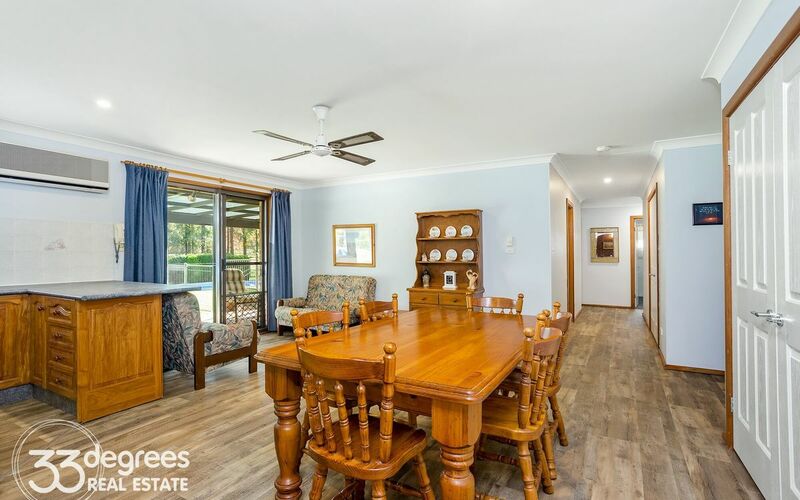 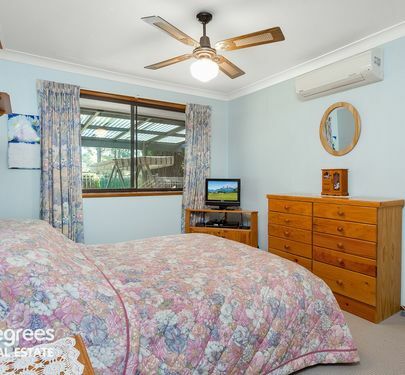 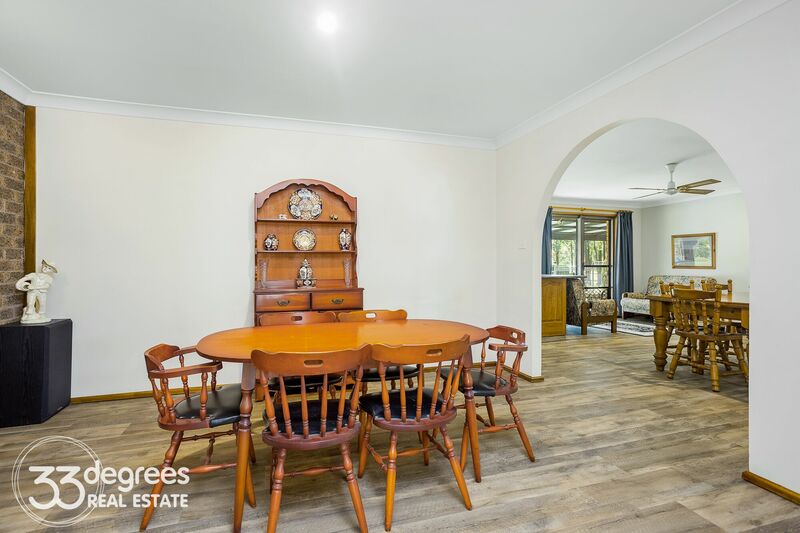 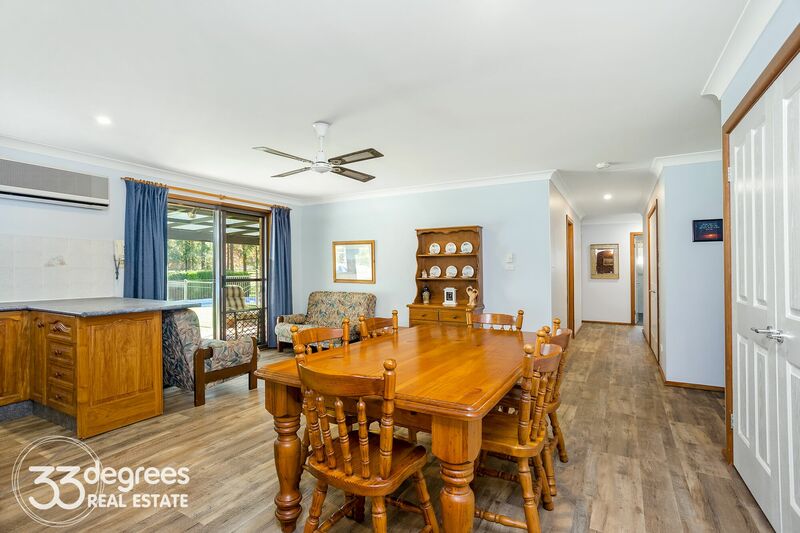 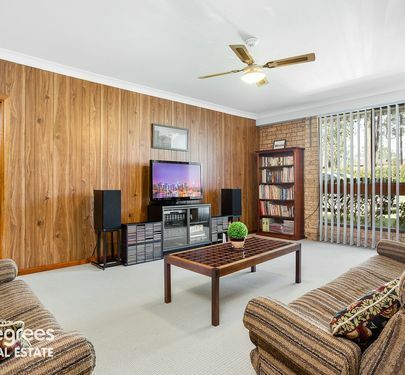 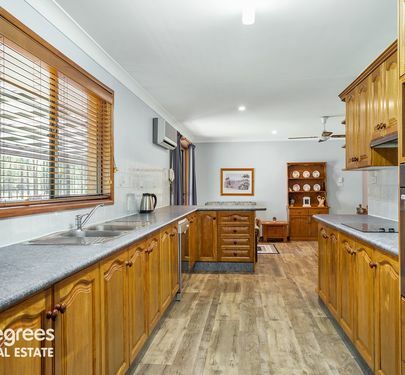 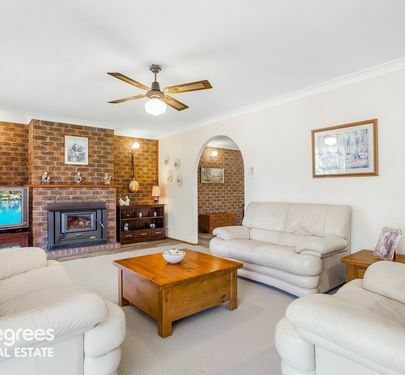 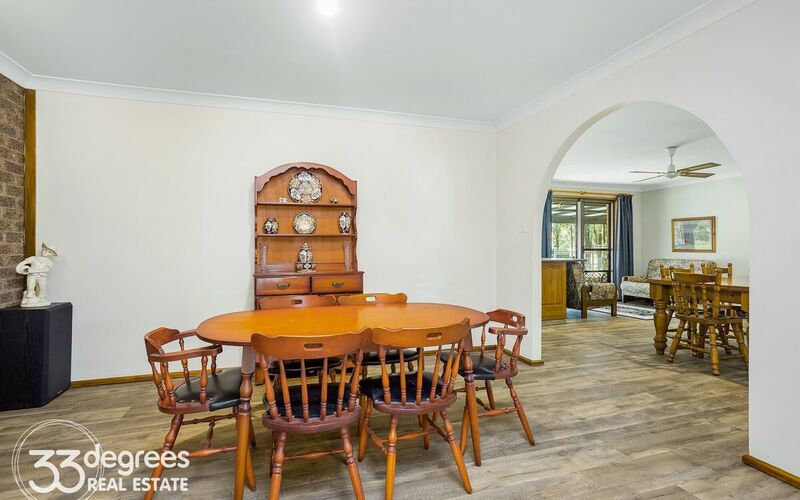 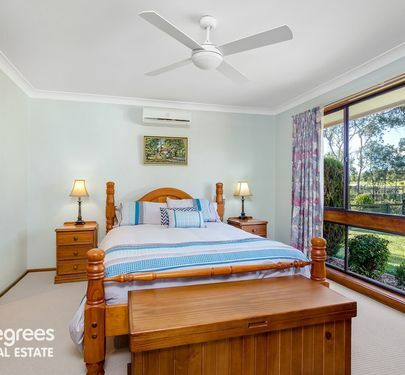 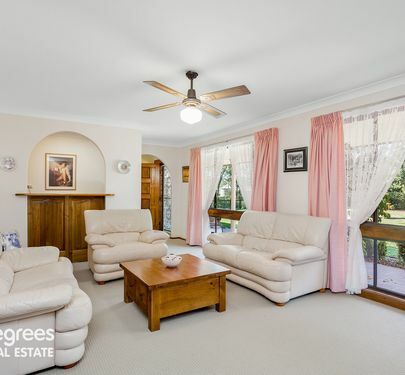 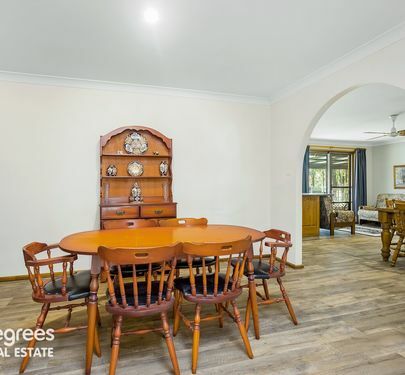 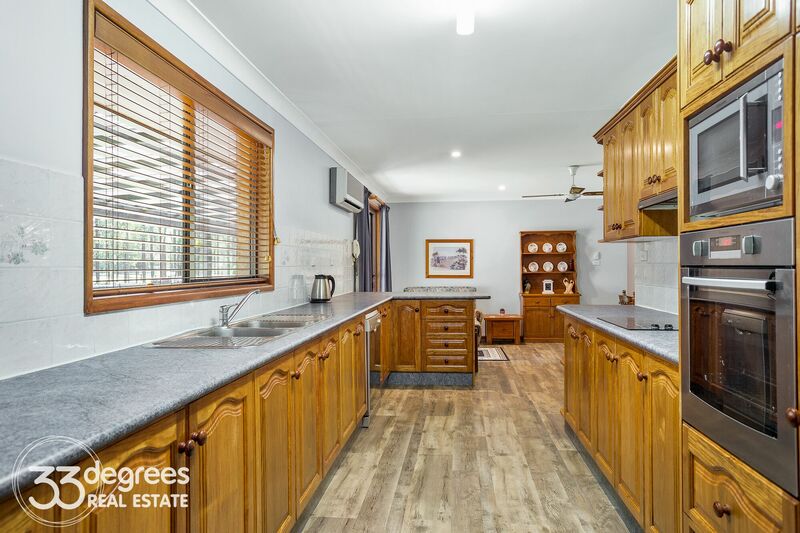 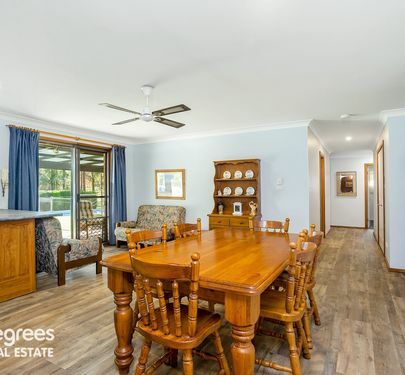 Its features include, stunning Cherrywood timber kitchen with newly upgraded stainless steel appliances, large separate living areas with slow combustion fire, brand new flooring throughout, split system air conditioning and ceiling fans plus a large separate rumpus area. 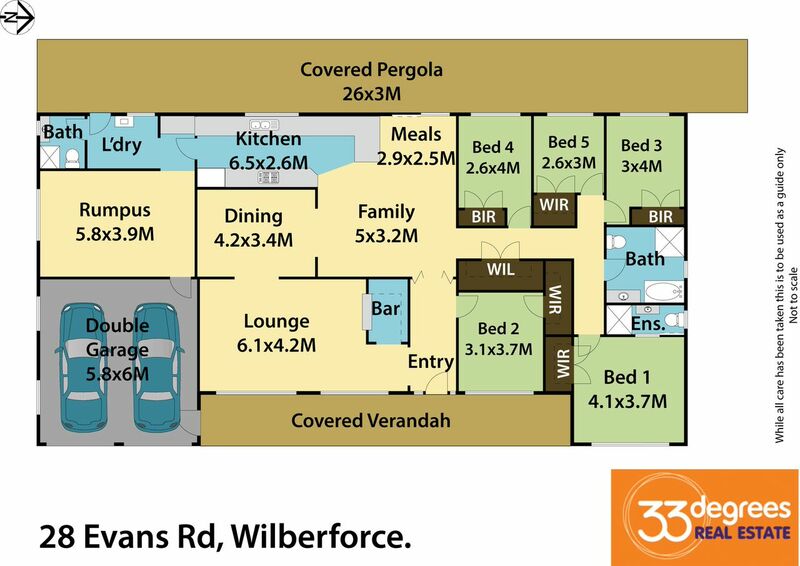 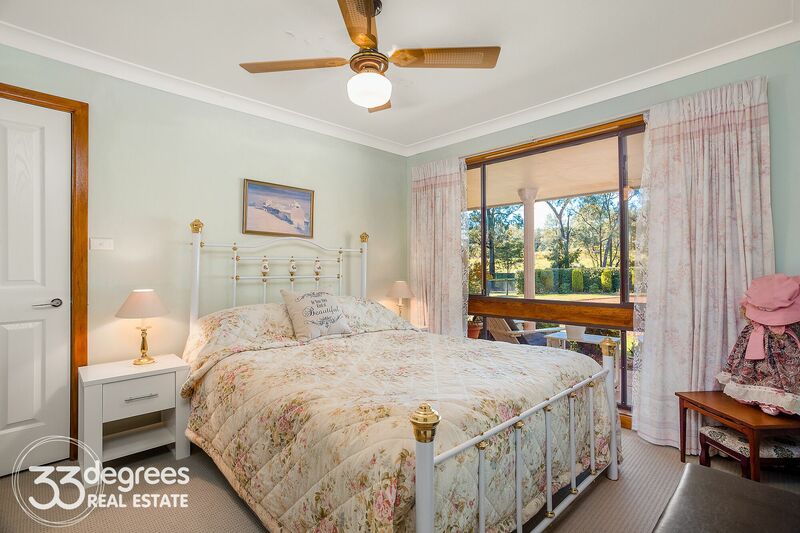 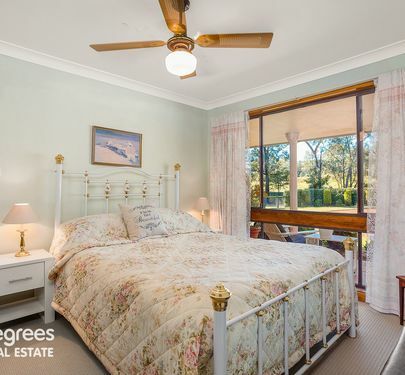 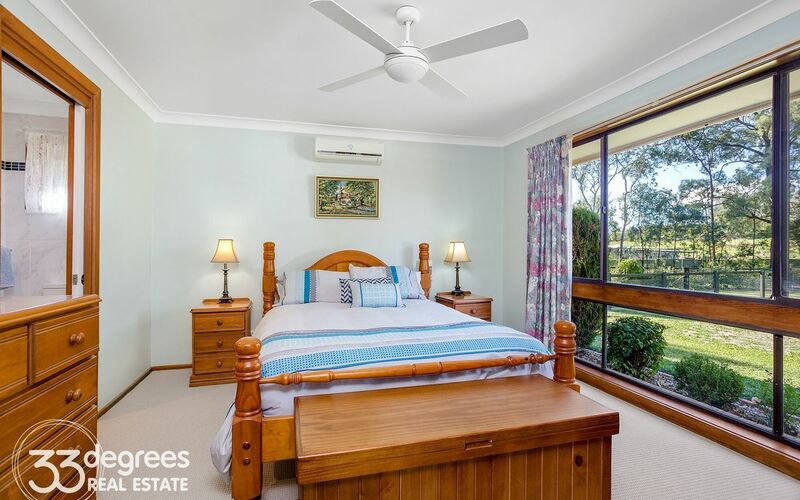 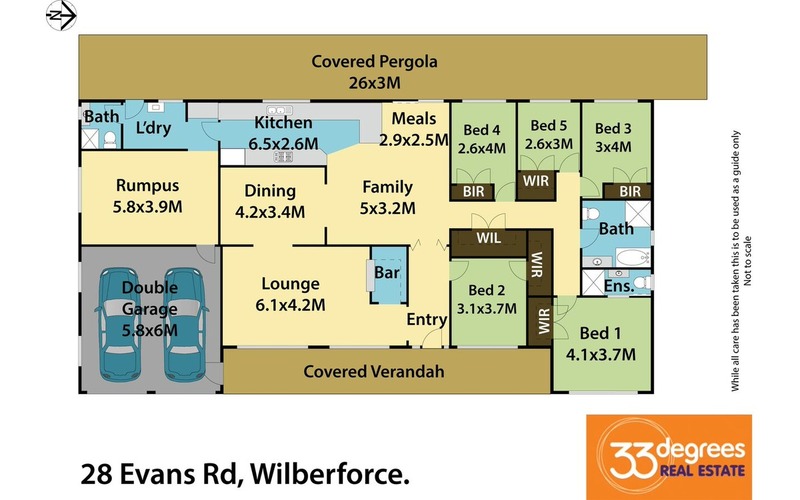 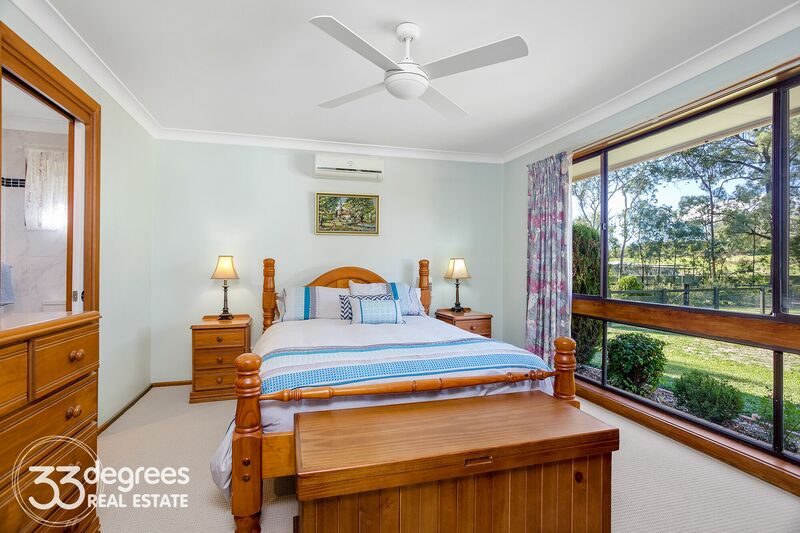 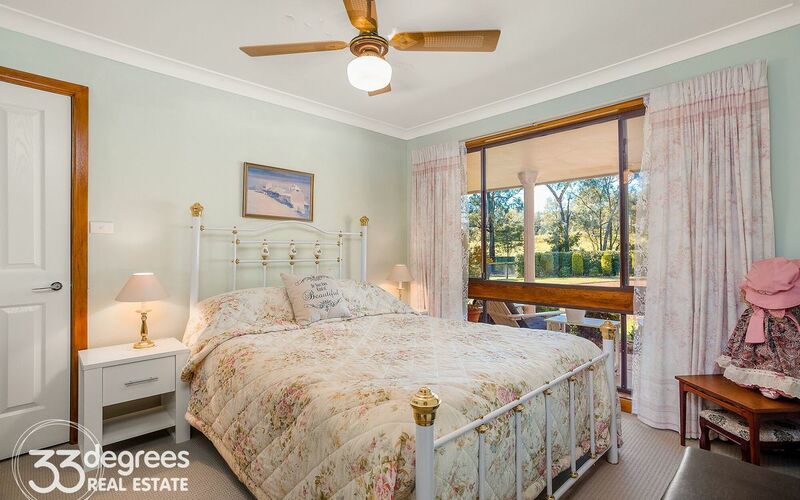 All 5 bedrooms are spacious and have storage, the main bedroom has a walk in robe and BRAND NEW ensuite bathroom. 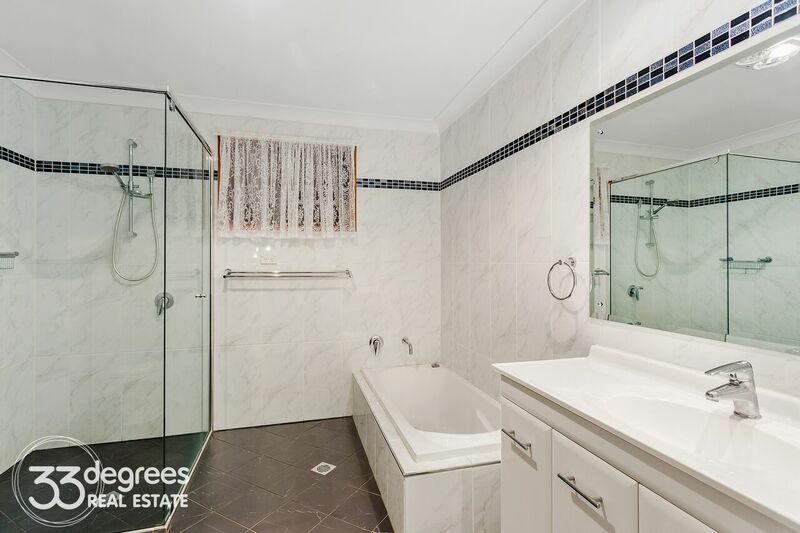 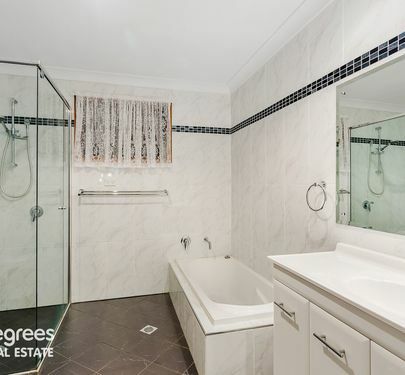 Both main bathroom and ensuite are BRAND NEW and are tiled to the ceiling with quality fixtures and fittings. 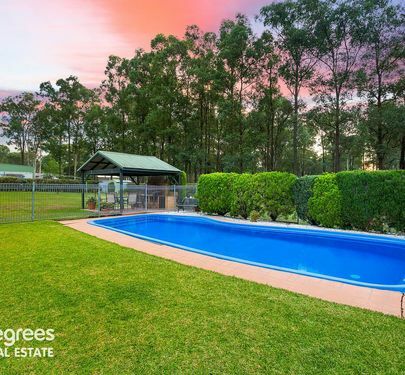 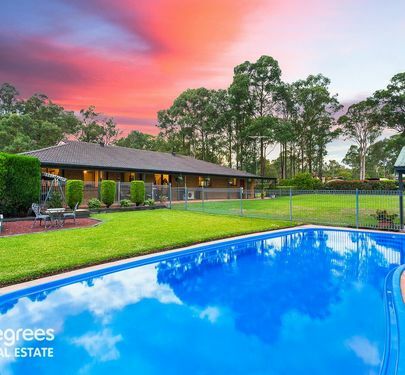 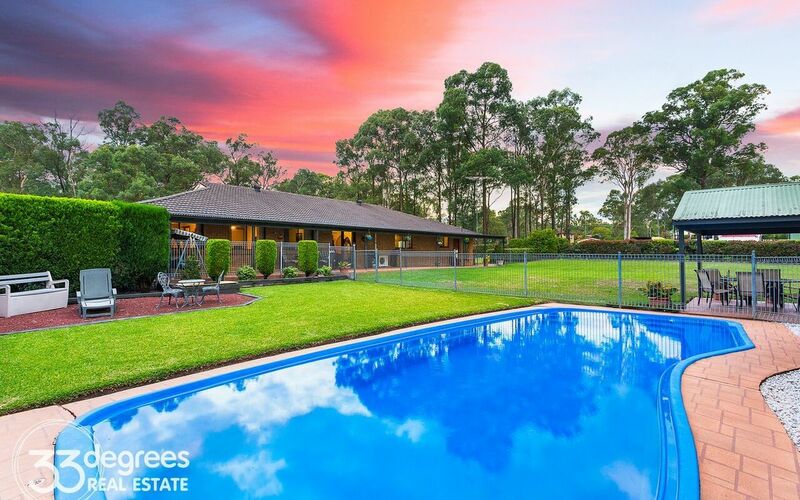 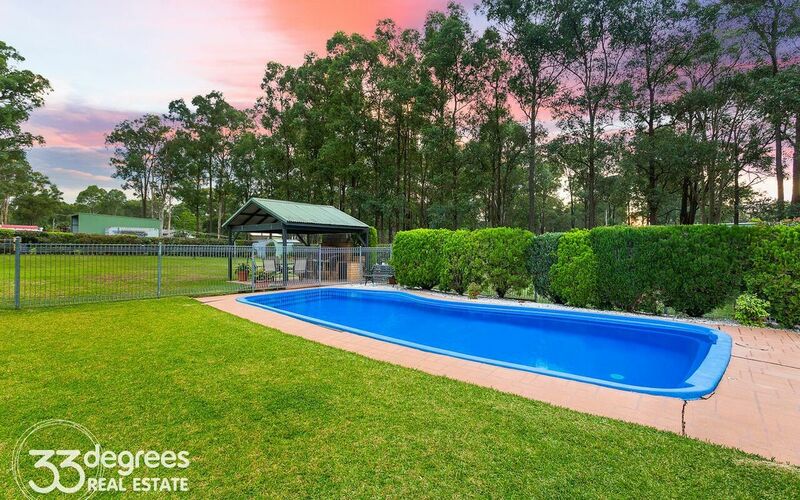 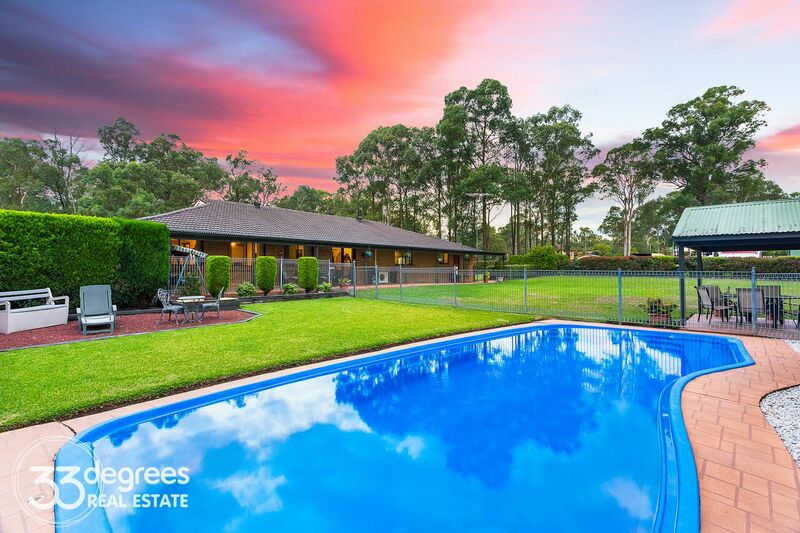 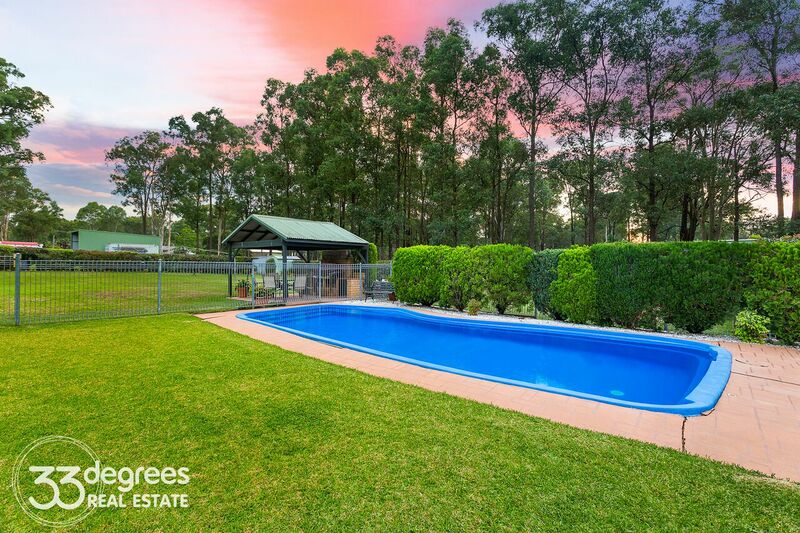 Outside the verandah overlooks the level land and the sparkling inground pool (fully fenced)l and BBQ area. 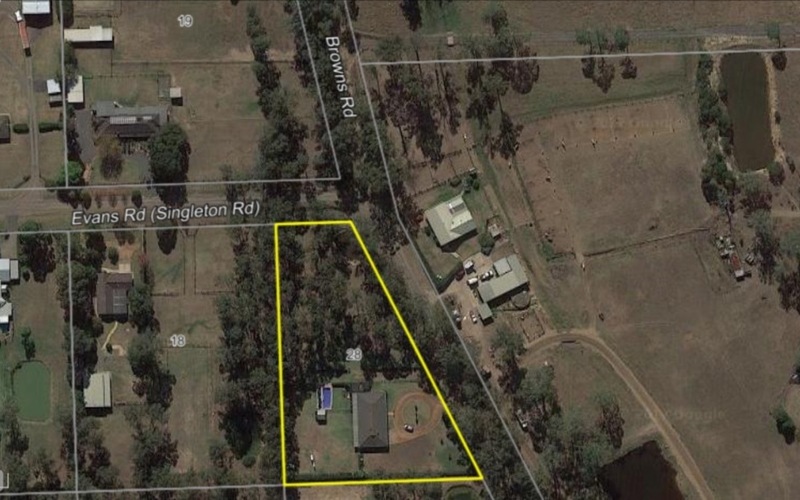 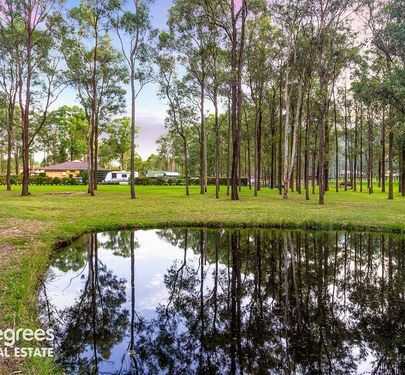 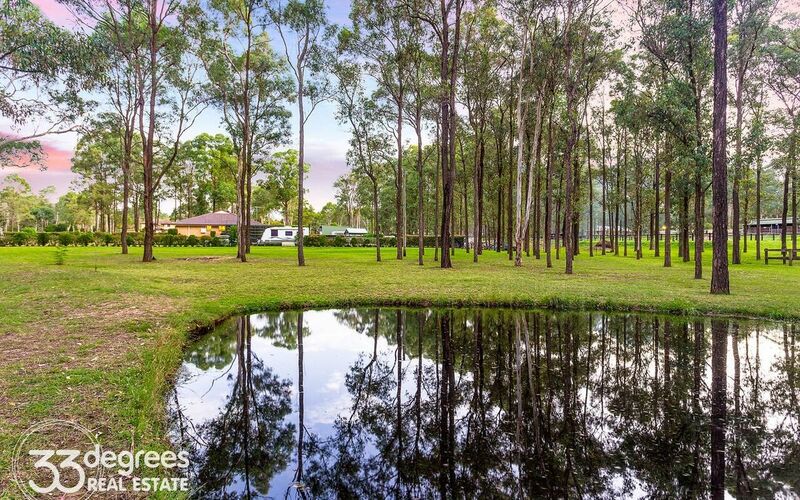 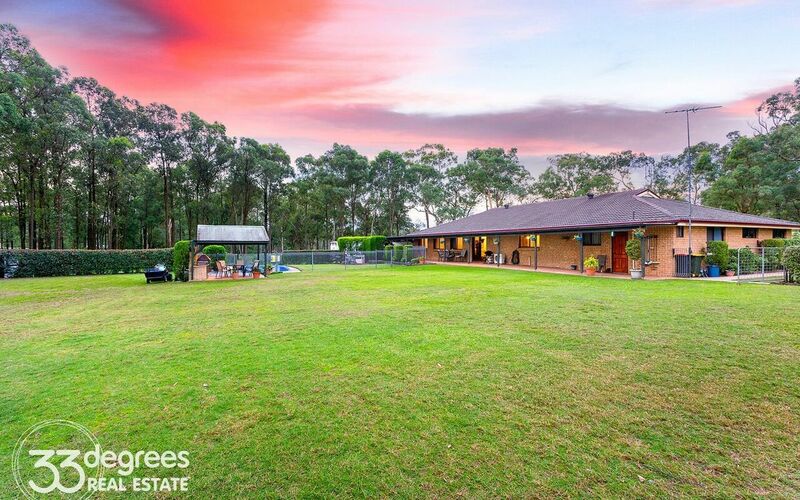 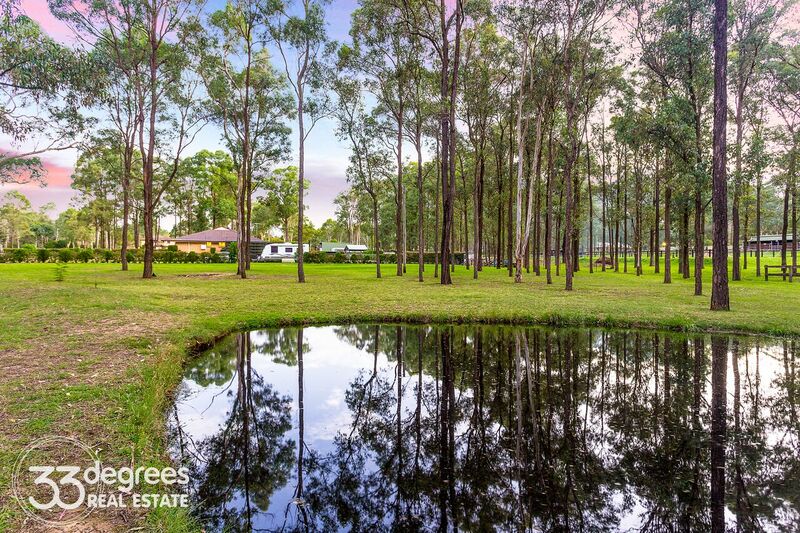 To complete this wonderful property there is side access that has its own separate entrance gate with land reinforced to accommodate a heavy vehicle, caravan or boat. 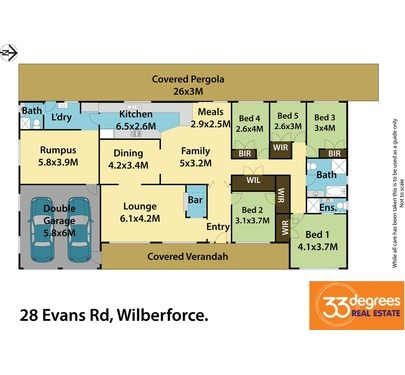 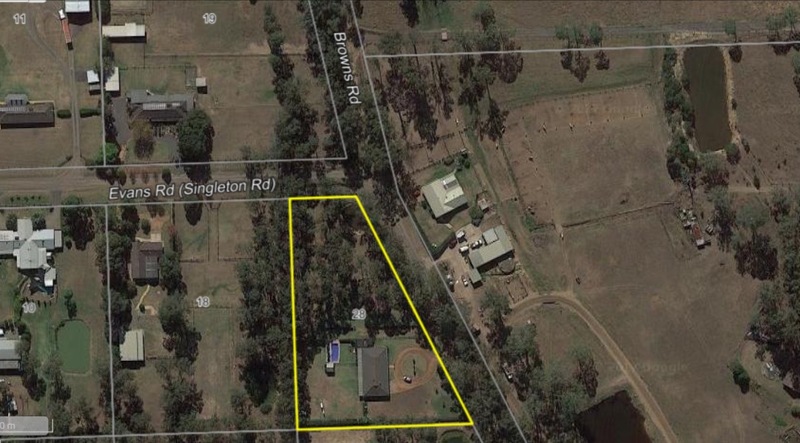 Add to this the 22,000L water tank, small storage sheds and dam which are fenced off from the backyard making it child and pet friendly and you have the perfect acreage package.